BELL, JOHN HOWATT, lawyer, politician, and newspaper editor; b., probably on 13 Dec. 1845, in Cape Traverse, P.E.I., son of Walter Bell and Elizabeth Howatt; m. 7 July 1882 Helen Howatt in Sarnia, Ont. ; they had no children; d. 29 Jan. 1929 in Los Angeles, Calif.
John H. Bell’s father emigrated from Scotland in 1820 and began farming in the Cape Traverse area of Prince Edward Island. John attended local schools, Prince of Wales College in Charlottetown, and Albert College in Belleville, Ont., where he received a ba in 1868 and an ma a year later. He pursued the study of law in Toronto and Ingersoll and was called to the bar of Ontario in 1874. He practised in Ottawa until early 1882 when he moved to Manitoba. After being admitted to the bar there, he opened a practice in Emerson. He did not long remain in Manitoba. In July 1882 he married his first cousin Helen Howatt of St Eleanors, P.E.I., daughter of the former anti-confederate mha Cornelius Howatt*. Two years later Bell returned to his native province and was called to its bar. He practised law in Summerside, first on his own and later in partnership with Alexander Bannerman Tanton. He would be made a kc in 1910. Bell’s political career began in 1886 when he was elected as a Liberal to the House of Assembly for Prince County, 4th District. He was re-elected in 1890, and after the legislature was reorganized in 1893 to eliminate the upper chamber he became one of the district’s two representatives in the Legislative Assembly. By 1896 he was quarrelling with his premier, Frederick Peters, and when the death of Alexander Laird*, Bell’s running mate in 4th Prince, brought about a by-election, he gave his support to the candidate from the Patrons of Industry, an offshoot of the Ontario populist agrarian movement [see George Weston Wrigley*] that had been brought to Prince Edward Island by Duncan McLean Marshall*. Bell was at the time editor of the Summerside Pioneer and even before the election call had given favourable coverage to the Patron platform. Faced with a withdrawal of government advertising, the paper’s owners dismissed him as editor in August 1896. Support for the Patrons split the electorate in the September vote and allowed the Conservatives to take the seat. Bell evidently patched up his differences with the Liberals. Re-elected in the provincial general election of 1897, he resigned at the end of the 1898 session and successfully contested the House of Commons by-election for the district of Prince East, succeeding John Yeo, who had been appointed to the Senate. Bell was defeated in the federal election of 1900 and returned to his law practice. The fight for open access to Island roads having been resolved during the administration of Conservative premier Aubin-Edmond Arsenault*, the Liberals, once in power, took up the cause of improved highways. Before 1917 there had been restrictions on running automobiles on the province’s roads, many of which were in very poor condition. In 1920, taking advantage of a dominion government program to pay 40 per cent of the cost, the province embarked on an ambitious plan of highway improvement. By 1923 the Liberals were boasting that with over 5,000 miles the Island had more roads per capita than any province in Canada. In order to finance the provincial share of the cost the government had floated a major bond issue, which substantially increased the provincial debt. The interest charges were supposed to be paid out of revenues from automobile registration, but as this source fell short, general revenues were used. This situation compounded a financial problem for the Bell administration, which had already introduced a number of additional taxes, including a controversial poll tax of $3.00. 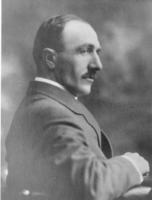 Although Prince Edward Island was never the lead province in the Maritime rights movement, in 1920 Bell had moved a resolution and spoken at length in the legislature on the necessity of joint action to press claims against the dominion. That year his government faced another issue involving the federal government: the fate of the Charles Dalton Sanatorium. This institution had been built and presented to the province by fox rancher and philanthropist Charles Dalton* in 1913 as a tuberculosis hospital and had been taken over by the dominion government for use as a military hospital between 1917 and 1919. Faced with high operating expenses as a result of “vast enlargements” made by Ottawa, Bell refused to accept the return of the institution to the province. Its subsequent closure and abandonment was seen by some as a snub to Dalton’s allegiance to the Conservative party and by others as a waste of a much needed gift to the province. Bell confronted a far different electorate in 1923 than he had encountered in 1919. In his campaign in 1919 he had promised votes for women, and with support from both sides of the house the government had extended the franchise to them in 1922. However, it was not the change in the voters that was the primary issue in the election but rather the imposition of a wide range of new taxes to address the growing costs of government. The Conservatives under James David Stewart* appealed to the fiscal interests of the voters and the Bell government was soon in difficulties. With the personal loss of his seat and the party going into opposition with only five seats, the 77-year-old Bell resigned as leader and retired from public life. He had been the first premier to lead his party from opposition to government and remain as leader until defeat. In his later years Bell travelled a good deal and gave local lectures on his trips to the Middle East. The Charlottetown Guardian subsequently stated that “it was indeed as a lecturer and as a versatile impersonator rather than in politics that Mr. Bell excelled.” In 1929 he was spending the winter in California when he died in Los Angeles three days after being struck by an automobile. He was buried in Summerside. Obituaries followed partisan lines. The Conservative Guardian noted that owing to his advanced years he had been “naturally disinclined to adopt new ideas or accept financial obligations, however urgent”; the Liberal Evening Patriot (Charlottetown) referred to him as the “Gladstone of Prince Edward Island,” alluding to his age and statesmanship. The papers were united in recognizing his debating skill and for many years Prince of Wales College awarded the John H. Bell prizes in debate. No collection of Bell’s private papers has survived. The PARO holds correspondence files consisting primarily of outgoing correspondence while Bell was premier (RG 25, ser.25). AO, RG 80-5-0-171, no.5537. PARO, Acc. 2323: 2109–71 (Bell family); P.E.I. Geneal. Soc. coll., reference files, Bell and Howatt family files; RG 6.1, ser.19, subser.2, file 90. People’s Cemetery (Summerside, P.E.I. ), Tombstone inscription. Charlottetown Herald, 16, 23 Sept. 1896. Morning Guardian (Charlottetown), 31 Aug. 1896; continued as the Charlottetown Guardian, 21 Dec. 1915, 30–31 Jan. 1929. Patriot (Charlottetown), 20 Dec. 1915, 17 April 1920, 26 April 1922, 30 Jan. 1929. 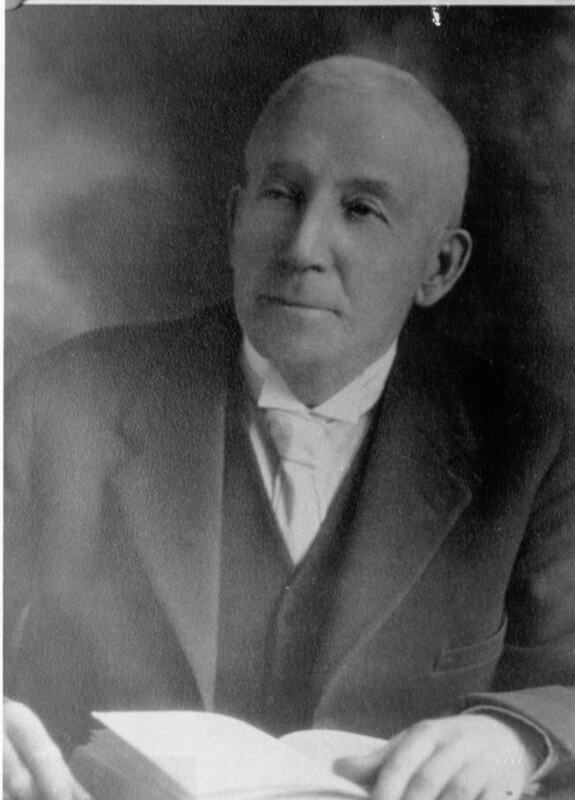 Pioneer (Summerside), 9, 16, 23 March 1896; 2 Feb. 1929. Summerside Journal, 3 Aug. 1882. Canadian annual rev. (Hopkins), 1915–23. Canadian directory of parl. (Johnson). CPG, 1886–1900, 1915–23. Cyclopaedia of Canadian biog. (Rose and Charlesworth), vol.3. Katherine Dewar, “John A. Dewar: the principled maverick,” Island Magazine (Charlottetown), no.43 (spring/summer 1998): 3–7. Frank MacKinnon, The government of Prince Edward Island (Toronto, 1951). W. E. MacKinnon, The life of the party: a history of the Liberal party in Prince Edward Island ([Charlottetown], 1973). Maple Leaf (Oakland, Calif.), 22 (February 1929): 51. P.E.I., Legislative Assembly, Journal, 2 May 1916; 1920: 41–42. Harry Tinson Holman, “BELL, JOHN HOWATT,” in Dictionary of Canadian Biography, vol. 15, University of Toronto/Université Laval, 2003–, accessed April 26, 2019, http://www.biographi.ca/en/bio/bell_john_howatt_15E.html.